More than 30 years of Meredith College Student Newspaper issues are now available on DigitalNC. With this addition, you can now browse the complete collection ranging from 1921 to 2015. These newspapers could be resources for anyone interested in student life at women’s colleges and the changes that take place over several decades. To see more from items from Meredith College, visit their contributor page or the website. Durham has long been a center of the arts in the Triangle, with dance being no exception. The American Dance Festival (ADF) has been a part of the Durham community since 1978. The ADF began in 1934 at Bennington College in Vermont and moved to several other New England campuses, until it finally settled at Duke University, where it has remained for almost forty years. This event helped to foster the many dance and performance organizations in the area and increase the popularity of dance in the local Durham community, as well as around the Triangle. The “Arts in Durham” television broadcast documented several studios and clubs that stemmed from this popularity during the late 1970’s. Although the ADF focused primarily on modern dance, many different genres were represented in these broadcasts, including disco, ballet, jazz, and clogging. Below are three “Arts in Durham” broadcasts from DigitalNC’s North Carolina Sights & Sounds Collection, highlighting the wonderful and weird dance styles from the Durham community. Arthur Hall teaching technique at the American Dance Festival. Arthur Hall, founder of the Dance Company with his name sake, came to the ADF from Philadelphia to teach techniques based in traditional African movements. Trained under a Ghanaian instructor, Hall dedicated his life to creating a space for black dancers to practice and perform traditional and original choreography. Outside of dance, Hall created a museum, cultural center and archive in Germantown. He has been called the “father of the black arts movement in Philadelphia,” and his techniques inspired the Durham Arts community during his time with ADF. Although ADF showcased professional dancers and choreographers, professional dance was not all that existed during this period in Durham. C’est La Vie Disco embraced the disco craze of the seventies in a way that amateurs and professionals alike could enjoy. Located in Durham’s old Five Point Neighborhood, C’est La Vie Disco was housed in a restaurant that made room for DJs and dancers in the evenings. The broadcast features several professional teachers, demonstrating disco techniques, but the true highlights are the intro and concluding pieces that showcase community members busting some moves. Probably the most entertaining of all of the dance-related audiovisual material on DigitalNC, this broadcast features the New Performance Dance Company, once located on Chapel Hill Street in Durham. The company choreographed and performed in the area and taught classes of various styles. The broadcast features several modern performances, disco choreography, and children’s classes. Many of these dance styles are quite unique and definitely worth watching! You can see all of the dance-related moving images at the links below or continue exploring the Arts in Durham . Many thanks to the Durham County Library for contributing these pieces of history from the Triangle. The Grand Lodge of Ancient, Free and Accepted Masons of North Carolina have provided additional materials for publication on DigitalNC’s website. Included in this batch is a number of minute books, photographs, various petitions from early lodges in North Carolina, and the first three issues of the Trestleboard, which was a newsletter that circulated among the members of three lodges in North Carolina (Hiram Lodge No. 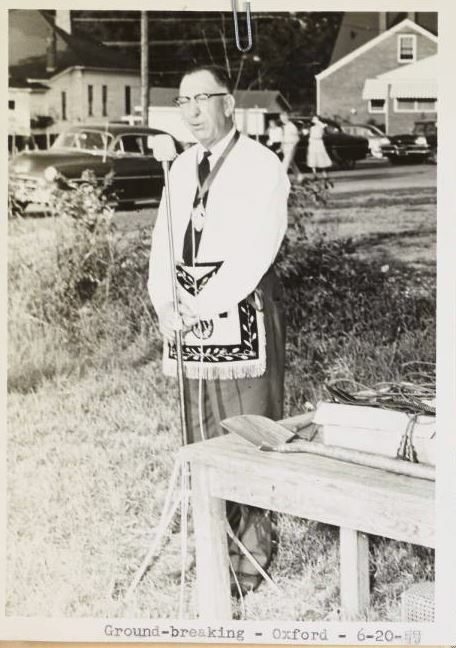 40, William G. Hill Lodge No. 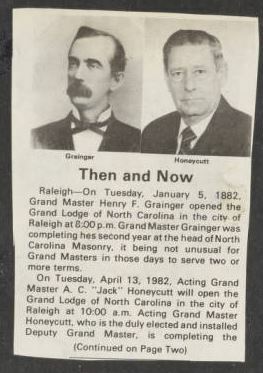 218, and Raleigh Lodge No. 500). Also in this batch are two scrapbooks from past grand masters of the Grand Lodge, Charles A. Harris and Ava Clarence Honeycutt. 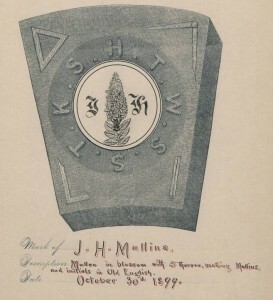 Another fascinating piece of Freemason history that was digitized in this batch is the Book of Marks from Raleigh Chapter No. 10 of Royal Arch Masons. This book catalogs the marks that each Royal Arch Mason chose to represent himself. Entries are listed between the years 1863 and 1914. 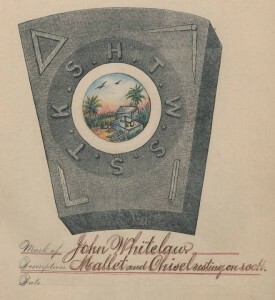 This tradition of choosing a personalized mark comes from the practice of medieval freemasons, who would inscribe a mark on a stone in their building sites as a way to claim their work. 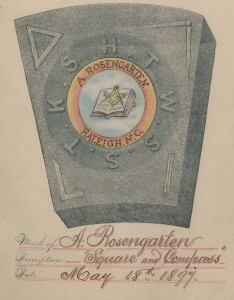 A number of prominent citizens of North Carolina are found in this book, including Alexander Boyd Andrews Jr., a prominent lawyer and UNC alumnus, amateur historian, and active member of the Masons who went on to become Grand Master of the Grand Lodge of North Carolina; John Nichols, a Raleigh printer and abolitionist who went on to become a member of the United States Congress and active member of the Knights of Labor; and Marshall de Lancey Haywood, who served as the librarian for the North Carolina Supreme Court and the historian for the Grand Lodge. 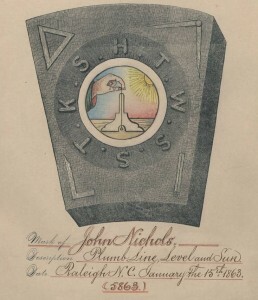 To browse the full collection of materials from the Grand Lodge of North Carolina, visit their contributor page, and for more information on some of these materials, see these previous blog posts. The Salemite, March 10, 1950. Additional issues of the Salem College student newspaper, called The Salemite, have been uploaded to DigitalNC. The newspapers date from September 24, 1948 to March 3, 1970. The Salemite includes articles ranging from Salem College news to international news, frequently featuring students’ activities both on- and off-campus. You can browse The Salemite by year, and more materials from Salem College can be found here. 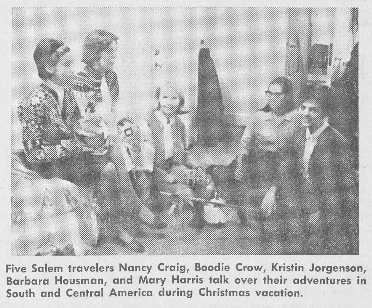 The Salemite, January 13, 1967. Six more volumes of the Francis B. Hays scrapbooks have been digitized and published on DigitalNC. 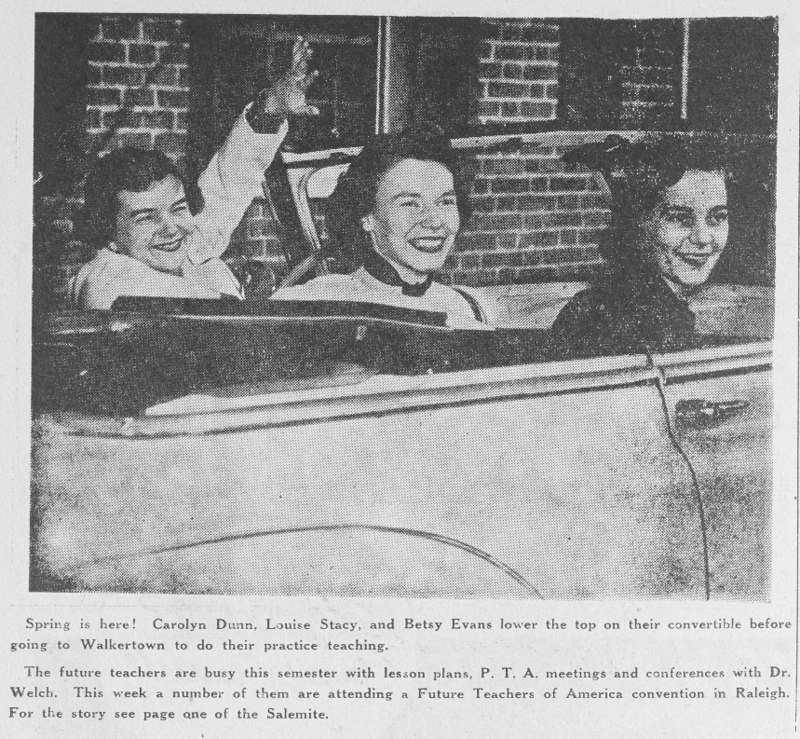 From the Granville County Public Library, these scrapbooks are added to the already large collection of Francis B. Hays scrapbooks on a wide variety of topics, from Granville County history to churches to schools. Four of the scrapbooks are focused on obituaries, volumes VII-X. 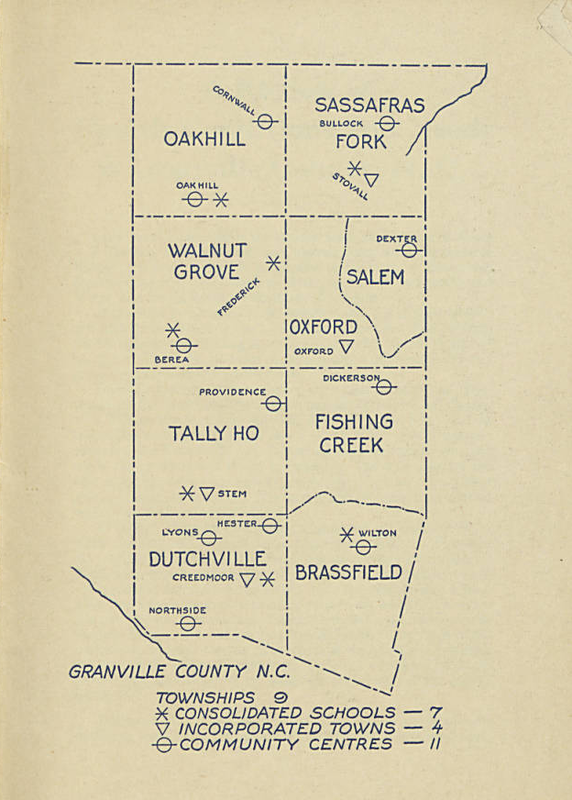 Another is titled “Health, Doctors, Hospitals, and Nurses” and includes clippings related to these topics in Granville County. 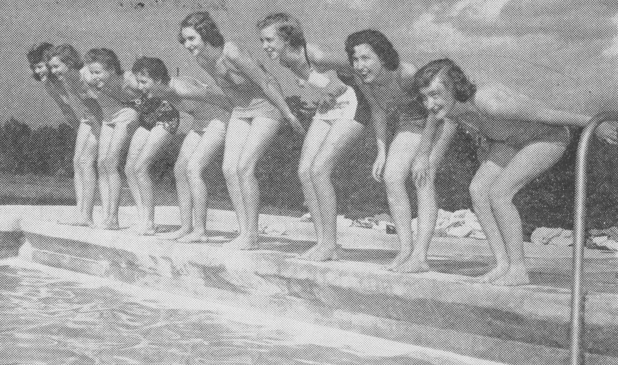 The last is an index of the names of people in Oxford, N.C., referring to other scrapbooks in the collection. These scrapbooks, including the obituaries, are useful for people researching genealogy in Granville County and surrounding areas in North Carolina. For more Francis B. Hays scrapbooks, you can visit the DigitalNC page for the Francis B. Hays Collection. You can also see more materials from the Granville County Public Library.